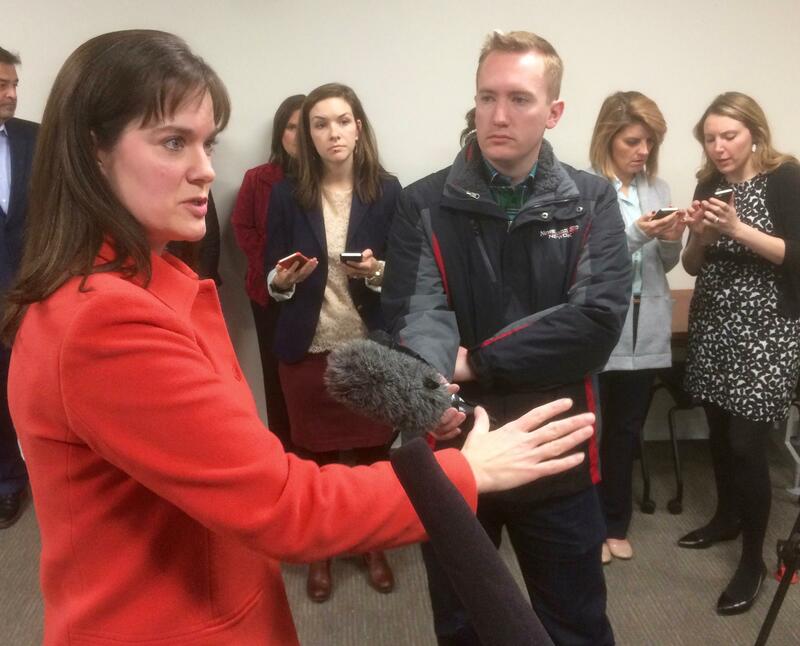 Tennessee education commissioner Candice McQueen takes questions in February 2016, the morning after the state cancelled online testing for the year because of first-day system failures. The Tennessee Department of Education has been ordered to respond soon to a lawsuit filed by Measurement Incorporated that seeks $25.7 million in payment from the state. 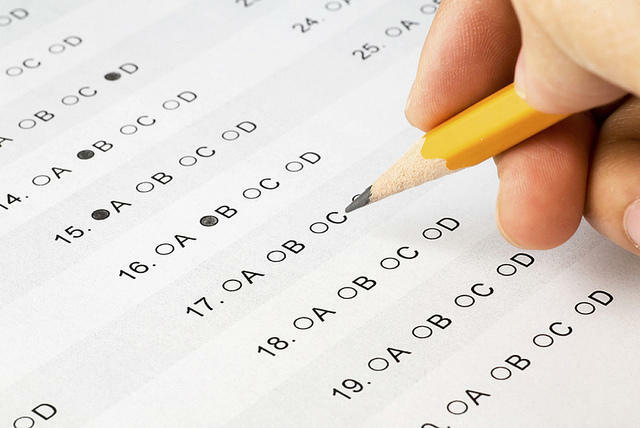 Measurement Inc. was the company in charge of rolling out an online standardized testing platform for Tennessee students in February 2016 that failed in the first morning of exams. It was an education department's nightmare: As more and more students tried to log on to take the new TNReady test, the platform started stalling. Eventually, the department called it off and instead ordered paper tests from Measurement Inc. to be administered in April. Some of those didn't arrive on time, so state officials finally fired the company. But the lawsuit filed by Measurement Inc. in June shifts much of the blame back onto the education department. The company says thousands of students were able to complete their tests online before problems started, and that it would have been possible to solve the issue for the rest of them if the state had not decided to "unreasonably, unilaterally and unjustifiably" cancel the testing, according to the lawsuit. Then, it says, the company worked overtime and hired extra staff to write and deliver paper versions of the test, a task the lawsuit describes with gusto. The "arbitrary, capricious and unreasonable decision to switch from a planned and proven online administration to a paper administration ... required [Measurement Inc.] to undertake an unprecedented and herculean effort to create and deliver millions of pages of paper test materials ... in less than six weeks," the complaint reads. The company says some of the shipments were simply too large for FedEx to deliver on time. Measurement Inc. also claims the state is still using some of its testing items. Originally, the company had two multi-year contracts with the state, totaling more than $160 million. So far Tennessee has paid about half a million dollars. In total, Measurement Inc. is asking for more than $25 million in payment for its services, plus attorney's fees. The company's president tells Chalkbeat they've had to go into debt while they wait for the lawsuit to resolve. The complaint was filed in the state's claims commission court, which on Nov. 2 ordered the education department to file a response within 30 days. State education officials are dubbing the first day of standardized testing in Tennessee schools "nearly flawless." Without a doubt, day one went more smoothly than last year. In 2016, computer glitches were followed by printing problems for the paper backups. TNReady's launch got off to such a rough start that testing was basically scrapped for the year.